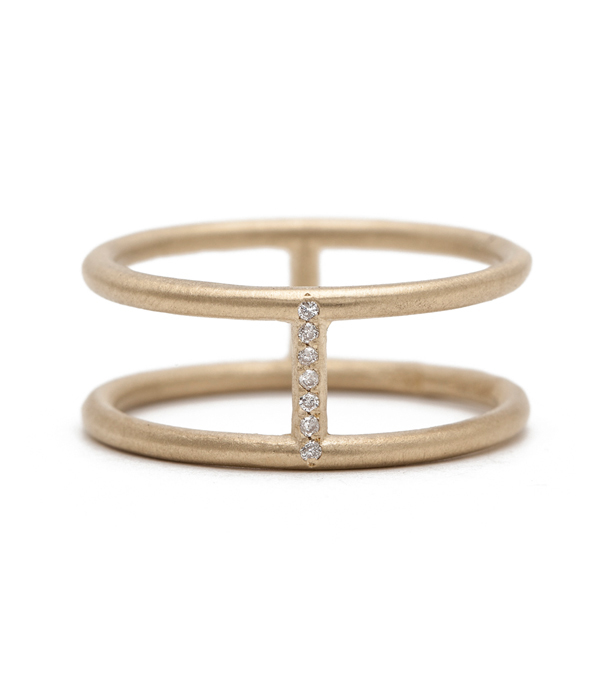 Simple and elegant, the play of negative space in this 14K Gold Double Banded Micropavé Diamond Stacking Ring opens a vast array of layering opportunities. 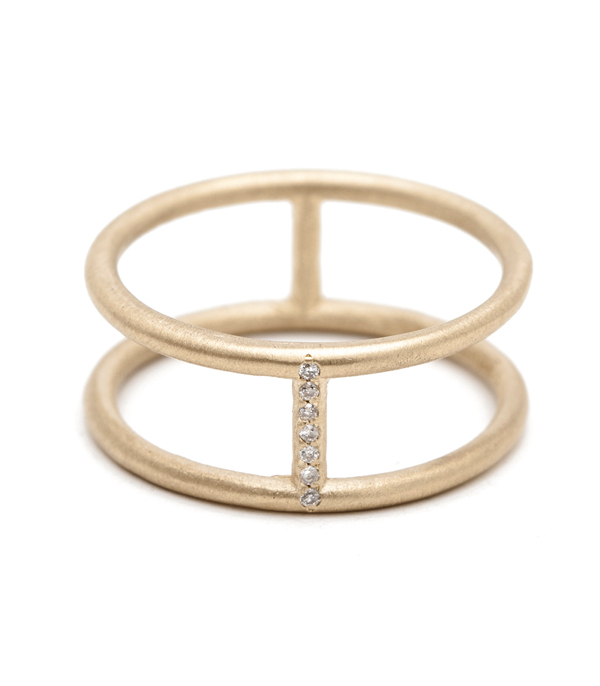 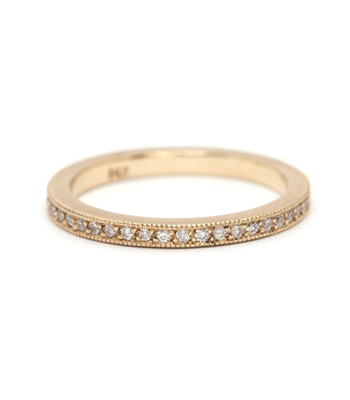 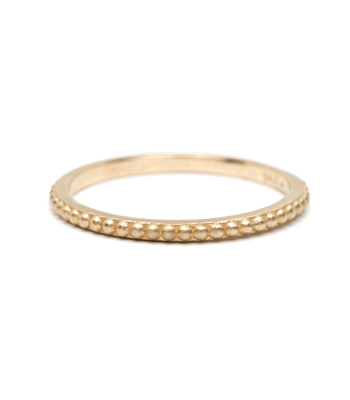 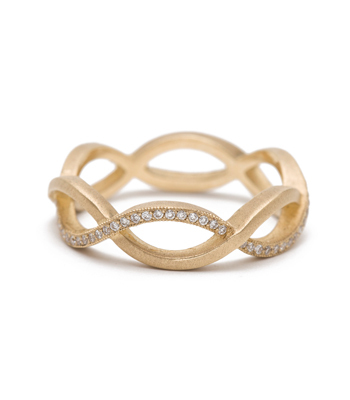 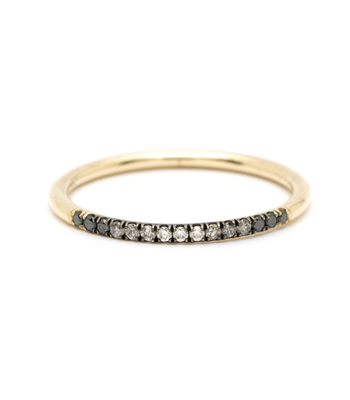 Two rounded 2mm bands are intersected with a row of micropavé set, twinkling diamonds, 0.04ctw, and an extra band for support on the reverse side. 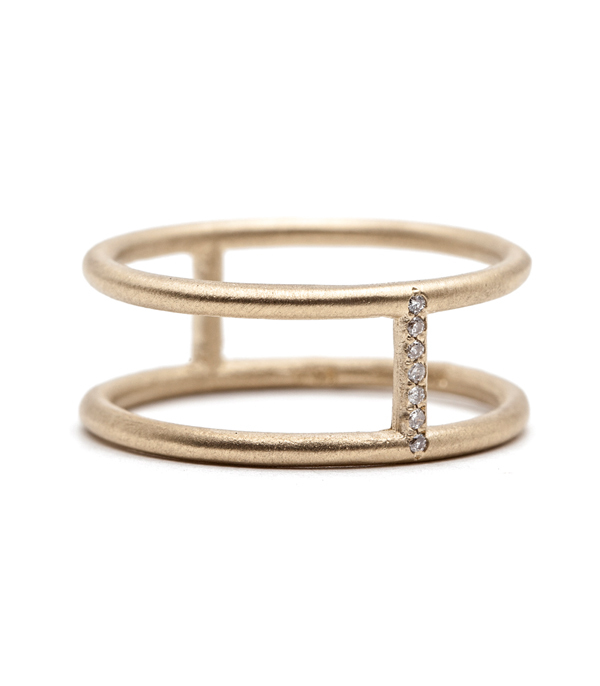 Stylish, modern and edgy: the ideal fit for the sophisticated gal who is not afraid to let her individuality shine! 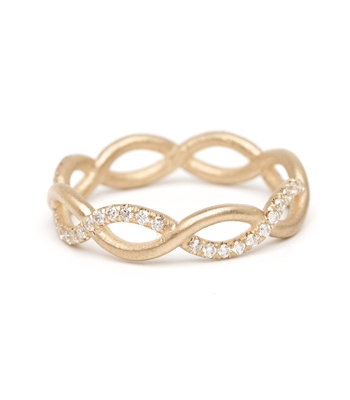 Categories: Aria, City Sophisticate, Rings, Stacking Rings, Women's Wedding Bands.